Philly Homebrew Club - November Meeting - Board Elections!!! November Meeting - Board Elections!!! 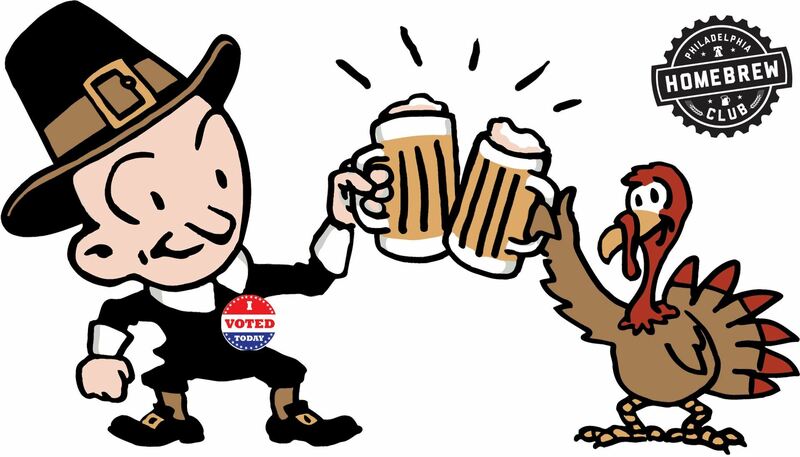 Elect a Turkey on November 16th! Each candidate running for office will get a few minutes to gab about themselves and why you should vote for them. After the meeting you will receive an email with a voting poll link. Voting will be open for 1 week following the meeting and will close on November 23rd. This is also our Thanksgiving meeting! Scott Broussard will be baking a couple birds. Please bring your favorite Turkey Day side to accompany the feast! And of course, if you are bringing beer, sign up here!